Christmas is the perfect time of year to let the Nurses on our gift list know how much they are appreciated. 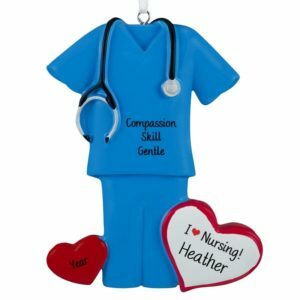 Nurses touch our lives, healing our hearts and our HURTS. 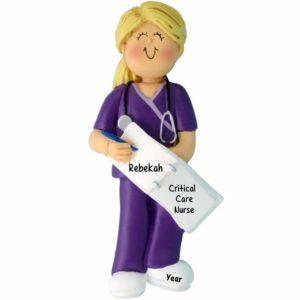 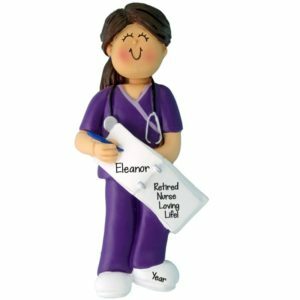 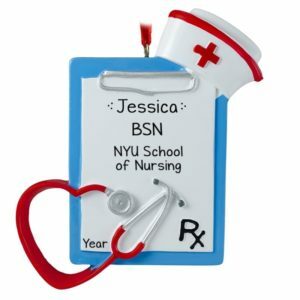 Have one of the talented artists at Personalized Ornaments For You hand personalize a unique gift for a “soon-to-be” nurse to celebrate their graduation. 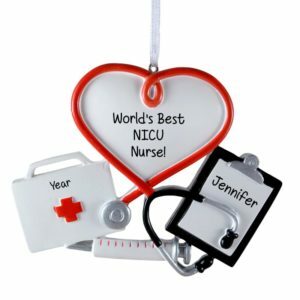 Honor the gentle and caring school nurse, home-care nurse, nurse practitioner, hospital nurse, or a nurse in the doctor’s office with one of our resin or glass ornaments to thank them for going the extra mile to ensure your recovery. 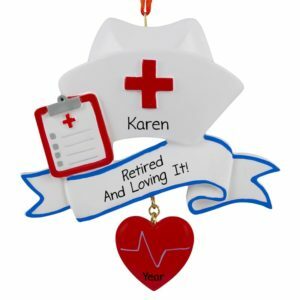 Every year for years to come, they will hang their ornament on the tree and fondly recall all the good they have created in the lives of so many. Nurse ornaments are great for stocking stuffers, Secret Santa gifts, or gift tags for larger presents!